New Zealand’s most eastern home islands, the Chathams Group was linked with the main islands of New Zealand with a combined air freight and passenger service using a unique removable passenger pod that could be placed into the hold of the Bristol Freighter. Extra sound insulation was used to drown out the mighty Hercules engines and earplugs provided. Windows in the pod lined up with those in the fuselage. Flight times were approximately three hours east and four hours west. From 1984 the Bristol service to the Chathams was replaced by the much improved Argosies, again with a special passenger capsule fitted inside the pressurized fuselage. The passenger capsule occupied half of the fuselage leaving the rest for freight. In 1982 when the paved runway at Tu-uta Point was built, the AW.660 Argosy was placed into service with a far more comfortable passenger pod based on the cabin of a Boeing 737. The pod still exists today, placed in the hold of our ZK-SAE at its final home in Marlborough, New Zealand. 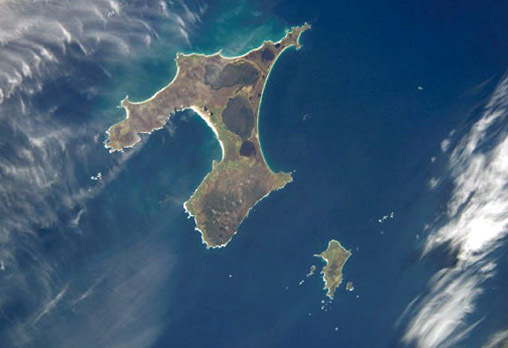 Eventually, rising fuel costs made the Chatham Islands service uneconomic, and the long Safe Air friendly relationship with the Chatham Islands came to an end. Islanders remember the lifeline service with the mainland fondly. The last Argosy flight to the Chathams was a return journey from Christchurch on 27 September 1990. “The Final Flight” DVD documents this historic final flight. See our souvenirs page for details.